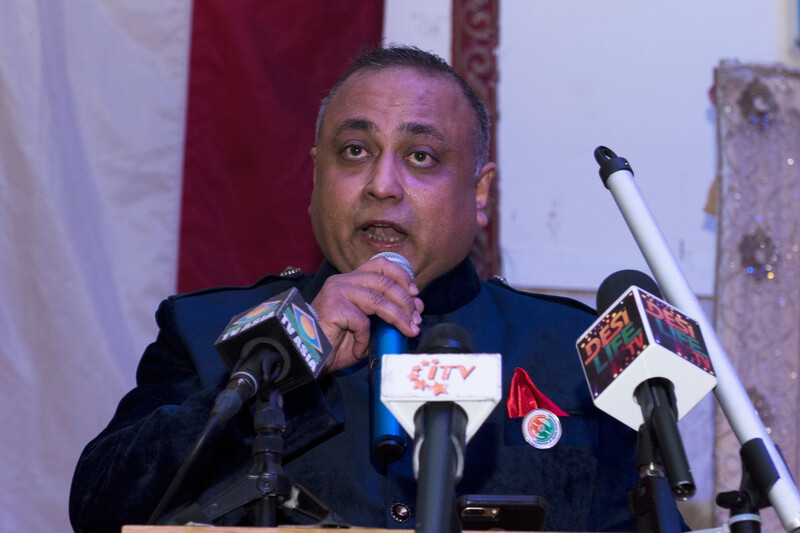 Home BREAKING NEWS India’s Envoy Lauds Community For Growing Ties With U.S.
India’s Envoy Lauds Community For Growing Ties With U.S. The strength and the standing of the Indian-American community has changed over the years and the community has come of age according to India’s new Ambassador to the United States, Navtej Singh Sarna. Although Indian-Americans make up only one percent of the population of the United States, they constitute about 13 percent of the start-ups, 50 percent of the motels, and 8 percent of the doctors, he noted. Navtej Singh Sarna, India’s new Ambassador to the U.S., right, and Riva Ganguly Das, Consul General of India in New York, second from right, with invited dignitaries at a reception hosted for Sarna at Royal Albert’s Palace in Fords, New Jersey, Jan. 12. Above right, members of the Overseas Friends of BJP with Ambassador Saran and Consul general Ganguly Das. 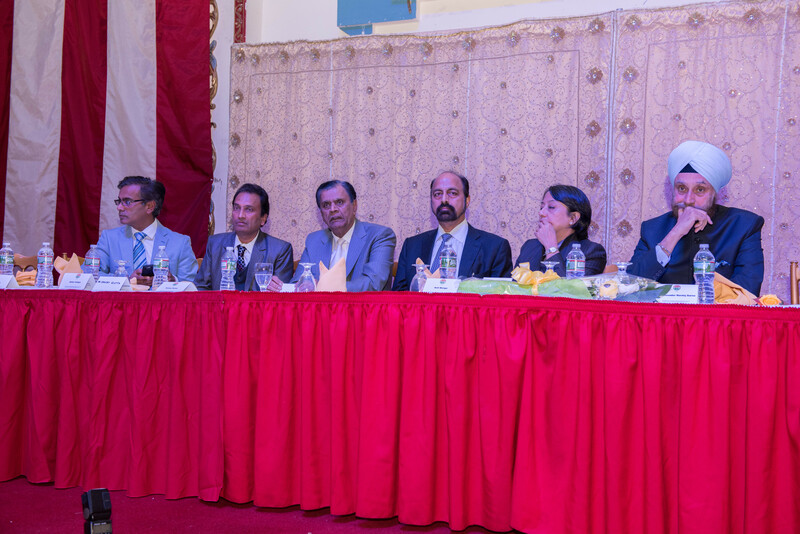 Representatives from several India-American organizations, as well as several community members attended the event held at the Royal Albert’s Palace here in Fords, N.J. Prior to taking over from Ambassador Arun Kumar Singh, Sarna was the High Commissioner of India to Britain, He previously served in Washington, D.C. as Minister for Press, Information and Culture between 1998 and 2002. Elaborating on the changes he’s seen in the last 15 years, Sarna noted that the India-U.S. engagement, as well as in politics, trade, security and defense had moved forward. “I can assure you the Government of India recognizes your strength, your excellence, “ he said. rved the increasing participation of the Indian diaspora in local and national politics. The recent swearing-in of five Indian-Americans to the U.S. Congress, was a “proud” moment for all Indian-Americans, he acknowledged. They include Kamala Harris of California the first India-American senator; Ami Bera, of California, who was the only Indian-American in the 435-member House of Representatives and re-elected in the November elections; Rep. Ro Khanna , also from California; Rep. Raja Krishnamoorthi from Illinois and Rep. Pramila Jayapal from Washington state. Three important factors ensure a diaspora’s success outside its homeland, Sarna observed, including its engagement with its adopted country plus the success it achieves there; its engagement with the homeland; and the passion the Diaspora shows in bringing these two engagements together. 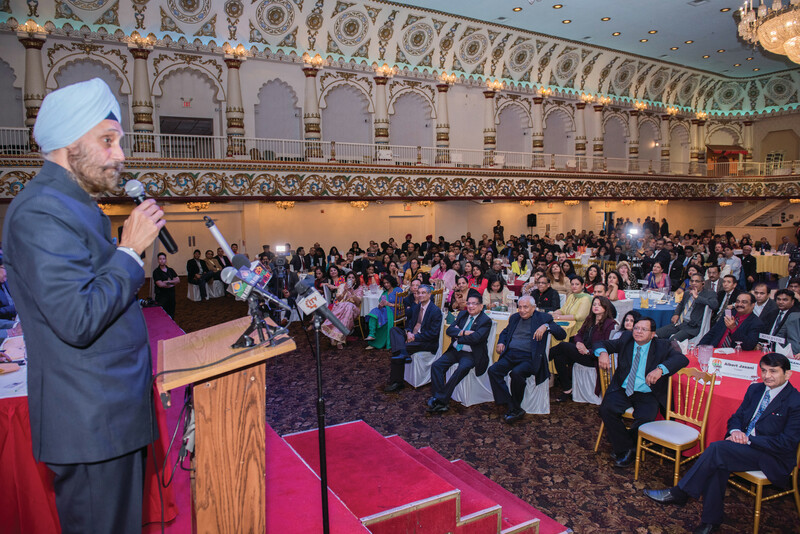 “It is no doubt that if you take all these three standards, the Indian-American community is a huge success here,” he said. He also attributed easy travel, the media, and India’s development and technological advances as factors which have helped bring the two countries closer. 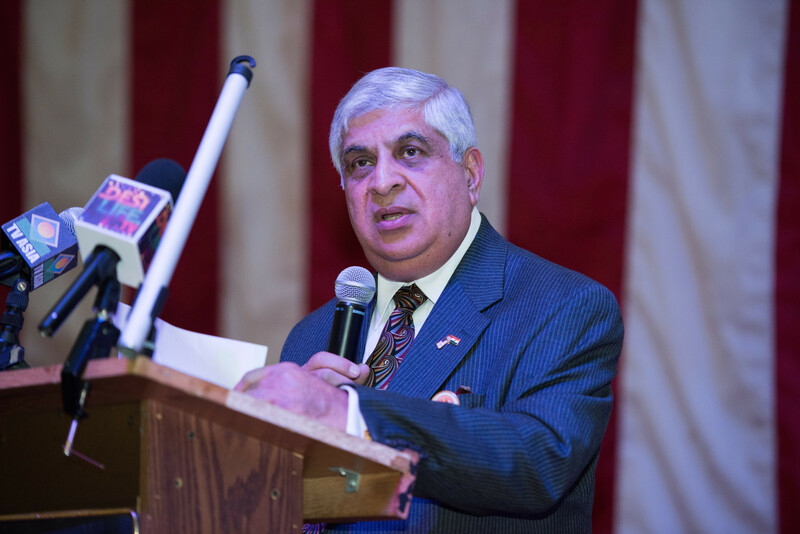 The Indian government is “very confident that the India-U.S. relations will be in a very good place as we move into the transition,” Sarna said, as the core logic of this relationship in imminent to everybody. “We will continue to seek your assistance, we will continue to solicit your inputs in getting across the India story,” he told the gathering, amid applause. H.R. Shah, chairman of TV Asia, introduced Sarna, who is also the author of many fiction and non-fiction books, the most recent being ‘Second Thoughts: On Books, Authors and the Writerly Life’ that was released last year. Others who spoke at the event were FIA Chairman Ramesh Patel, Air India Regional Manager Vandana Sharma, FIA President Andy Bhatia, and Consul General of India in New York Riva Ganguly Das.